Christmas stars in tree light colors ! Embellish your scrapbook pages or cards with these gems ! 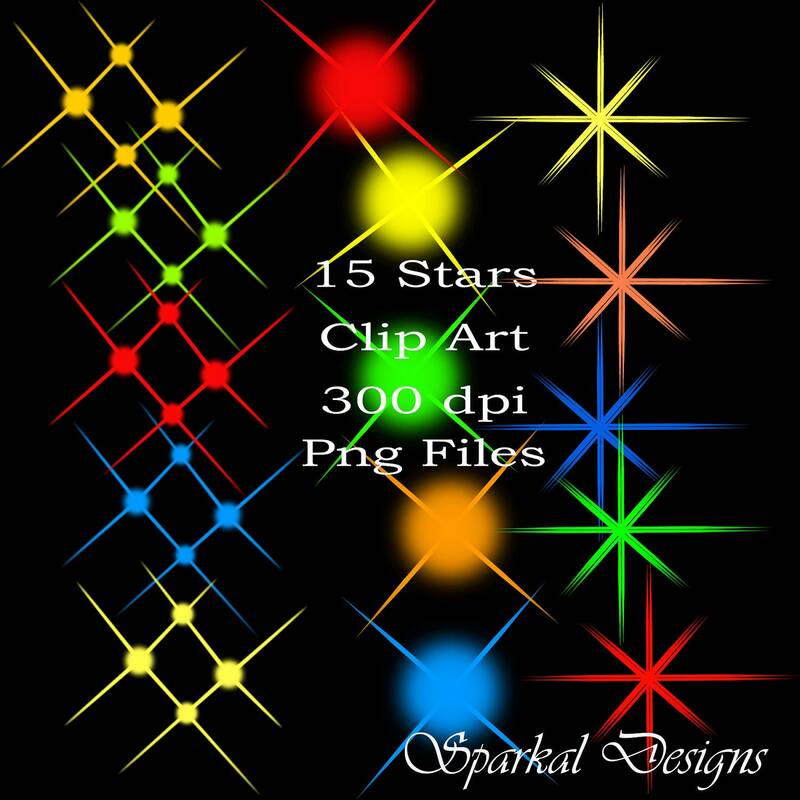 CHRISTMAS Star Digital clip art Collection is vibrant and gorgeous . Use in Card making, Christmas Tags, Scrapbooking or anything you can craft ! So easy to use. These are PNG images with a transparent background , allowing you to plop the image in your digital creation. Each is approximately 3 inches tall and can be easily resized.